Deutsche Bank CEO is out. What next for Germany's biggest bank? What does a new CEO mean for Germany's biggest bank? 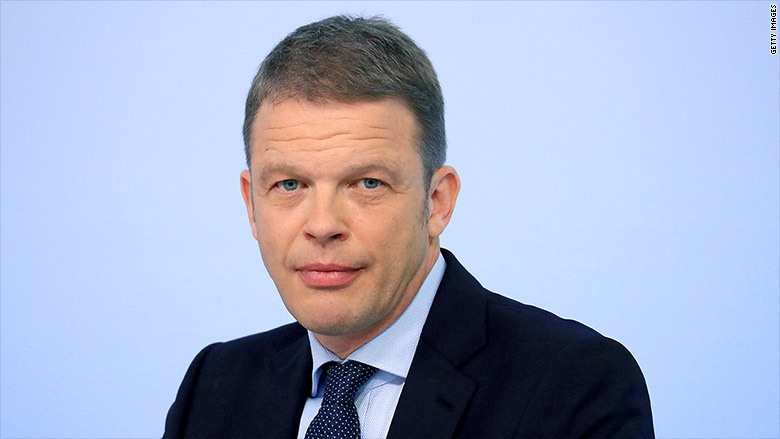 The new chief executive of Deutsche Bank is everything his predecessor was not: He's German, he's a company veteran, and he's not an investment banker. But can he answer the big questions that have dogged the bank for years? Christian Sewing was named CEO of Deutsche Bank on Sunday to replace John Cryan, a British investment banker who failed to turn an annual profit during a tenure that lasted under three years. Shares in Deutsche Bank (DB) gained 3% early on Monday, but the bounce will be of little comfort to investors who have seen the stock lose over 50% of its value since Cryan was made co-CEO in July 2015. The dismal performance reflects concerns about the direction and execution of a turnaround strategy that saw Germany's largest lender close hundreds of bank branches in recent years and eliminate tens of thousands of jobs. Despite the changes, it failed to turn a profit in each of the past three years. The biggest challenge for the new CEO is figuring out just what kind of bank Deutsche wants to be. There are big questions over the future of the lender's investment banking operation, which delivers volatile returns and has lost ground to larger Wall Street rivals. Corporate and investment banking contributed 54% of total revenue in 2017, but the business has been hit by scandals and tougher regulations implemented in the wake of the global financial crisis. Its bonuses have been criticized by German politicians. "The [investment bank] strategy remains the key strategic question mark and Achilles' heel of Deutsche," wrote analysts at UBS. Sewing, who joined Deutsche Bank as a teenager and most recently led its retail banking division, provided a limited view of his plans in a letter to employees that was posted to the bank's website on Monday. The new CEO's most forceful comments were on the importance of meeting cost reduction targets, and he warned that management would no longer accept excuses when cost and revenue goals were missed. But Sewing also hinted at potential changes for the investment bank, saying he wanted to examine its position in the market and "further adapt" its revenue, cost and capital structure. UBS analysts said that Sewing's first statements "do not indicate major strategic shifts," but they do expect "further adjustments" for the investment bank. The appointment of a CEO steeped in retail banking could usher in other changes. Sewing, who previously worked in Toronto, London, Singapore and Tokyo, could heed calls to focus more on the bank's home market. Over 1,500 of the bank's 2,425 branches are in Germany, where banking margins are wafer thin. That market dynamic has long fueled speculation that Deutsche Bank would benefit from a merger with another firm. Commerzbank (CRZBF) is often mentioned as the most likely target. 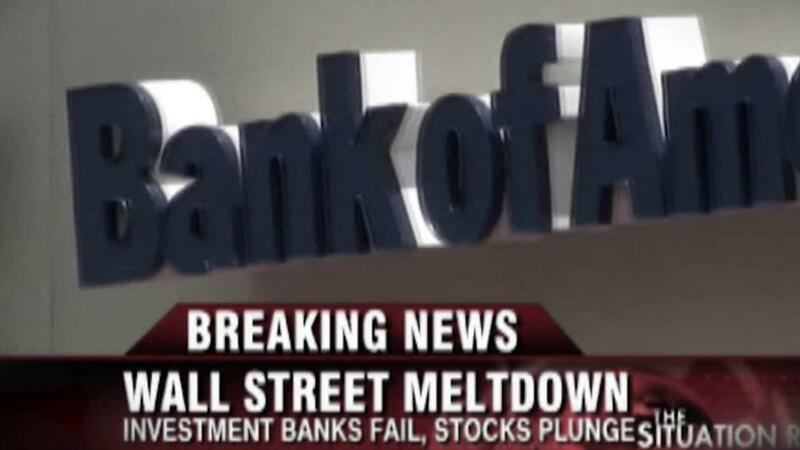 Dramatic changes may have to wait, however, until the bank has dealt with the fallout of a third CEO in just six years. Hermes Investment Management said in a statement on Monday that Paul Achleitner, the bank's chairman, must answer questions from shareholders after "weeks of rumors, leaks and briefings" about Cryan's position. The fund manager said it wants to know why it was necessary to replace Cryan, who was "hand picked" by Achleitner in 2015, and what the change means for the turnaround plan. "We look forward to discussing these questions with the chair and hearing from the new CEO how the bank plans to create value for shareholders and other stakeholders in the foreseeable future," Hermes said in a statement.